The Xbox One S may not have the processing power or the native-4K capabilities of the One X, but it is a pretty practical device for the vast majority of casual gamers. The 500GB version of the device is usually available online for around the Rs. 20,000 on its own, but there are loads of deals at the moment on the Xbox One S on Flipkart, offering some exciting bundles at similar price-points. 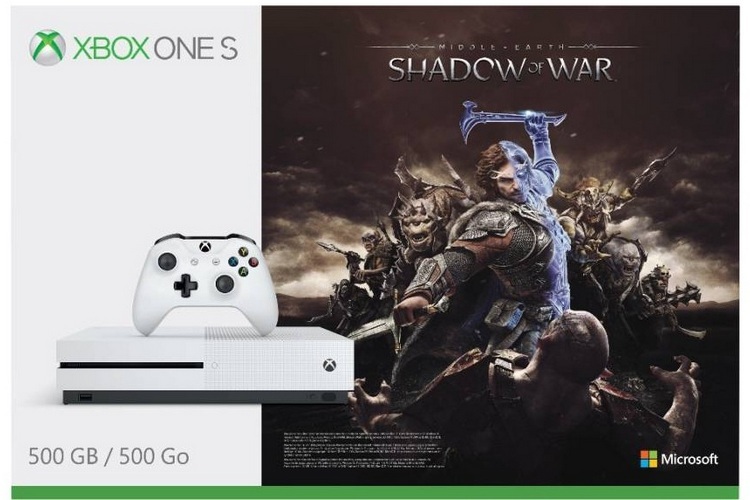 On Flipkart, the Xbox One S (White, 500GB) is now listed at just Rs 19,990 with a copy of Middle Earth: Shadow of War, one of the hottest action role-playing games right now. The price is the lowest-ever for the console, making this an offer that’s hard to refuse. The listing clearly mentions stock is low, so you must hurry to grab this deal. In addition to the attractively-priced bundle, Flipkart is also offering No Cost EMI options, exchange offers and rebates, including a flat 5 percent instant discount (up to a maximum of Rs. 200) with Axis Bank Buzz Credit Card. There’s also an exchange offer that will enable buyers to save up to Rs 3,000 by exchanging their old Xbox or PlayStation consoles for the new device. While the Xbox and the PlayStation 3 will get you the entire Rs 3,000 off, Flipkart is only offering Rs 1,500 for PS2 units. The offers will remain live till the end of the month, and will be valid on consoles sold by RetailNet.